The most common reason for a person to visit the dentist’s office besides regular check-ups is to take care of dental cavities. A cavity is the result of tooth decay or injury that weakens tooth enamel so that a hole forms in the tooth. If you have a cavity, you may not notice it until you have symptoms of pain and sensitivity. However, cavities can be seen at an earlier stage during a dental exam so that treatment can be administered before symptoms disrupt your routine. Every time you eat or drink something, residue is left on the teeth and mixes with saliva and bacteria in the mouth. This mixture creates plaque, which eats away at the tooth enamel. Over time, a hole can develop in the tooth that may eventually reach the root. You can reduce your chances of getting a cavity by practicing good dental hygiene including regular brushing and flossing. Choosing nutritious foods that are low in sugar and fat can also help to prevent cavities. In order to avoid advanced tooth decay, you should visit the dentist regularly so he or she can spot visual signs that a cavity is present. With DIAGNOdent laser technology, your dentist can spot cavities before they are visible to the naked eye. Early diagnosis with DIAGNOdent means that your cavity may be reversible through good dental hygiene since it is still so small. When a cavity is causing pain and other irritating physical symptoms, it has probably reached the inside of the tooth that contains sensitive pulp. At this stage a root canal may be the most effective treatment because much of the tooth’s structure has been compromised. If the cavity is too large to be remedied through home care but not severe enough to require a root canal, it can be filled with a durable composite filling or the tooth can be capped with a crown. Keep your smile cavity free by visiting Dr. John Carson, DDS in Tucson. Our practice features the latest dental technology to provide you with the most beautiful smile you can imagine. Call us at (520) 514-7203 or visit our website to schedule a consultation. If you have enjoyed learning about how you can reduce your need for dental restorations, read through these recommended articles for some related information. Get even more help caring for your smile by visiting Dr. John Carson, DDS. Schedule a visit by calling (520) 514-7203. Get the basic facts about cavities and tooth decay from the National Institutes of Health. OralB offers a list of foods that can preserve the health of your teeth and gums. The different types of dental materials used for crowns and other restorations are explained by the ADA. See why repairing broken teeth is important to the health of your smile with WebMD.com. Video: How Do Dentists Fix Cavities? If you have a cavity, it is important to see your dentist for treatment, as the damage can continue to worsen without medical attention. This video explains the different types of restorations that may be used for cavity treatment. Fillings are most common, and these can be made from a variety of materials. The filling blocks the hole in the tooth so that it cannot continue to get bigger. When cavities reach a certain size, fillings are no longer effective, so the tooth may need to be capped with a porcelain or metal crown. Keep your smile beautiful and cavity free by visiting John Carson, DDS. Call us at (520) 514-7203 or visit our website to explore our services, including advanced DIAGNOdent laser cavity detection. 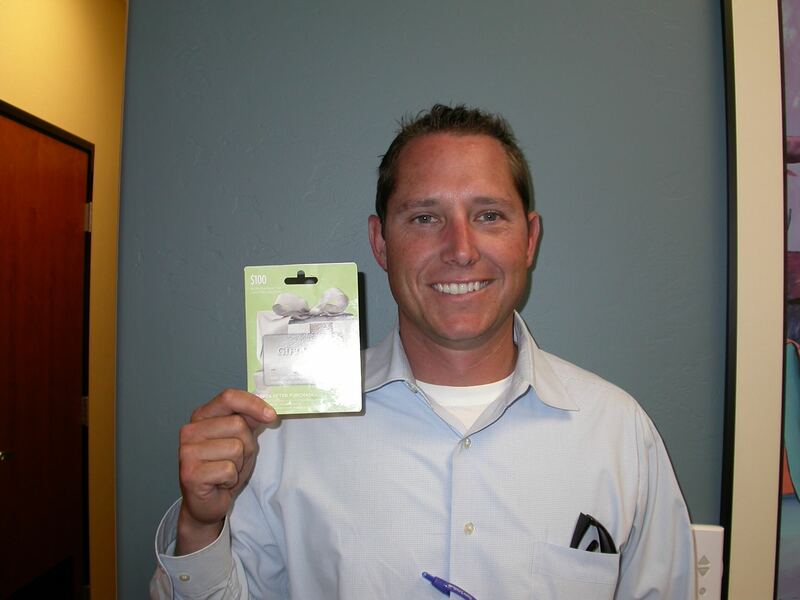 Congratulations Mike N. our March 2012 $100 Winner!